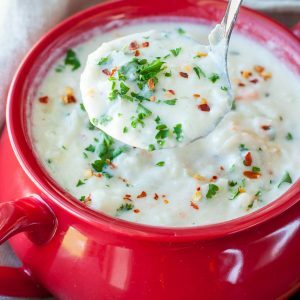 My love affair with my Instant Pot runneth over! 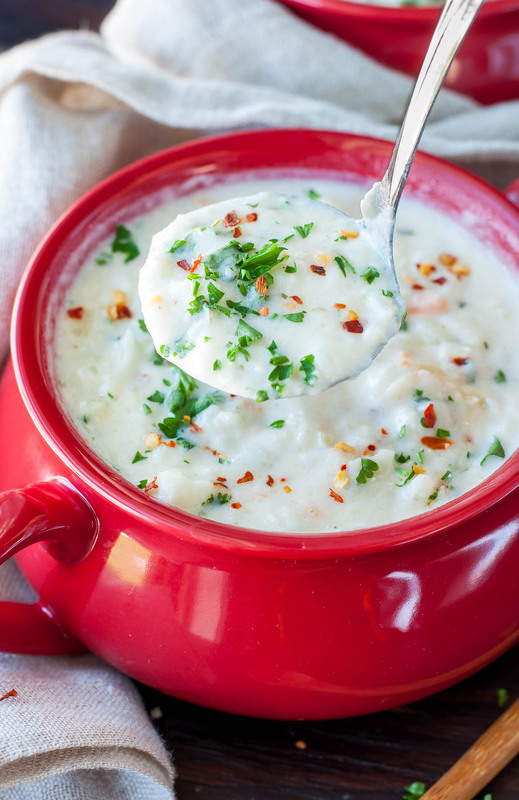 This Pressure Cooker Creamy Cauliflower Soup is ready in record time and loaded with veggies. Hookay so… I almost didn’t share this recipe because of the photos. They aren’t a complete abomination and ohmygosh guys, they do not do this soup a sliver of justice. This lusciously creamy cauliflower and veggie chowder deserves the most swoon-worthy of photos complete with gorgeous warm light, rainbows, unicorns and puppies galore. It was so delicious, we couldn’t stop eating it! Ok fine, I couldn’t stop eating it and barely saved Paul 1/2 cup to try for himself. I have food sharing issues. To be fair I contemplated leaving the leftover half cup in the fridge with a threatening note guaranteed to ward off hungry husbands scrounging around for a midnight snack but reconsidered. He needed to try the amazingness for himself. Now that we have thumbs up all around, it’s time for the recipe! 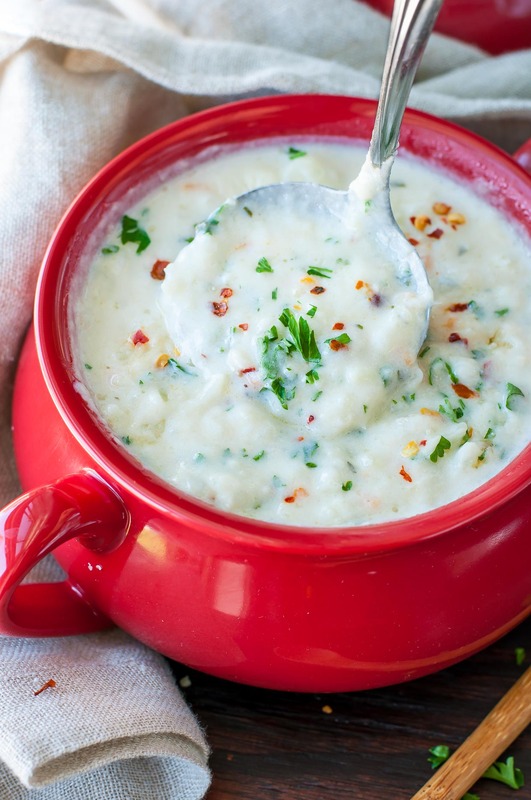 This Pressure Cooker Creamy Cauliflower Soup is ready in record time and loaded with veggies. Set Instant Pot to sauté function and heat your butter. Sauté onion until tender and golden, adding your garlic towards the end. Next add carrots, cauliflower, broth, salt, and pepper. Set to high pressure for 5 minutes. Allow pressure to release naturally. For a lusciously thick soup, I made a roux on the stovetop while the IP did it's thing. Simply melt 1/4 cup of butter in a saucepan over medium-high heat until frothy. Add 1/4 cup of all purpose flour (GF or regular) and stir until mixture thickens and begins to turn golden brown. You could also add some (raw) grated potato to the IP with your veggies to thicken the soup in place of the roux. Next add any additional salt and pepper to taste (my broth wasn't low sodium so I was good with just an added pinch). Add your grated cheese and choice of half and half or heavy cream and stir until all your melty, cheesy dreams come true! Garnish with your favorite toppings (extra cheese on top for moi - bacon crumbles for the man) and dig in! Every so often I'll go extra creamy with my soup and swirl a little cream cheese into the mix too. I do this with cauliflower and potato based soups and totally adore the result! Feel free to follow suit if you're a cheese fiend like myself! I'll usually use a lighter dairy option (regular milk vs cream for instance) and then add a few oz of cream cheese in after it's done cooking in the IP. Gluten-Free? You’re good to go! Putting a vegan spin on this soup might be a bit tricky, though I’ll bet it’s entirely possible! I’ve had friends and readers alike have awesome luck making my Slow Cooker Sweet Potato and Cauliflower Soup and Slow Cooker Carrot Butternut Soup deliciously vegan so I’m sure this veggie-flecked soup is up for the challenge! Totally let me know if you veganize it! T-rex chefs: I’ll totally forgive you if you break out the bacon for a crispy crunchy topping. Crazy for veggies? Add extra carrots or even throw some celery, mushrooms, kale, or spinach into the mix! All would be SOUPER great in this soup! See what I did there? Soups are traditionally even better the next day and this baby is no exception! If you can manage to squirrel away some leftovers they’re amazing reheated and will keep up to 4 days tightly wrapped in the fridge. Enjoy! I’m super cheesy, okay?! SOUPER cheesy, I tell ya! 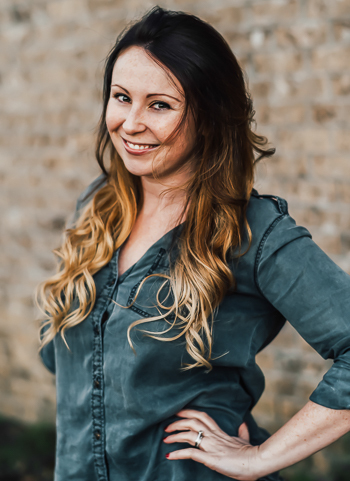 Ooh and I’ve also started tagging my low-carb recipes here: https://peasandcrayons.com/tag/keto <-- hopefully that will help in the meantime! Another to add to the list of my must try for the Instant Pot. I’m afraid I would have trouble sharing this also! I’m also super obsessed with my Instant Pot! Looks like a delish soup that will be on my MUST MAKE list really soon! Hey Nancy! So excited you’re here, thank you! You can absolutely make this stove-top style and it’s super duper similar to my Broccoli Cheese Soup recipe so I’d just print those instructions out and use the exact same method! LMK if any questions pop up and I hope you *adore* it!